This year celebrate Thanksgiving with our magnificent roast turkey stuffed with foie gras, chestnuts and apricots at home with your friends and family or by dining in at Topaz restaurant. For those wishing to celebrate this special occasion at home we will deliver our roast turkey with all the trimmings to you door. We will also be hosting Thanksgiving Dinner at Topaz on Thursday 26 November 2015. 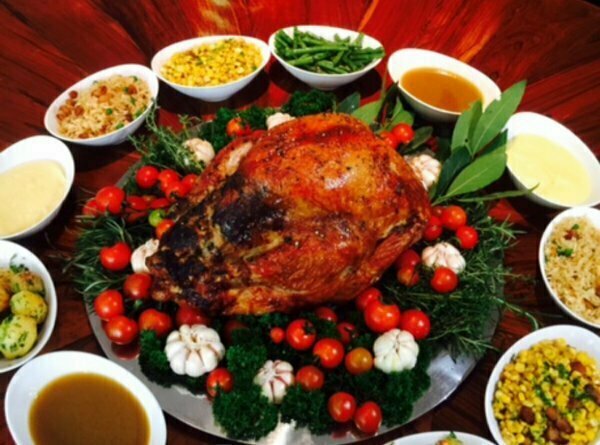 Take away orders and dine in reservations for our Topaz turkey must be made by 23 November. Each turkey weighs about four to five kilograms and serves six to seven people. Cost per turkey is $200 inclusive of VAT. Order now or make your reservation by calling Topaz on 012 333 276 / 015 821 888.